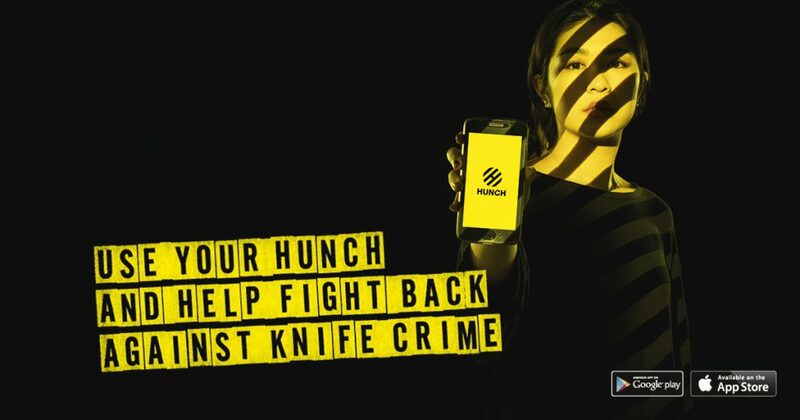 We’ve been involved with a very worthy campaign recently, supplying AV equipment for the launch of a new app, Hunch. This isn’t any old novelty app though. It’s a potentially life saving app, enabling users to anonymously tag a location if they suspect trouble is brewing. This will then alert other app users in, or entering the area about the possible trouble, enabling them to leave the area if they wish. Designed as an independent project by London creative company Atomic and built by developer Supercharge, the app was developed in response to the increasing levels in knife crime and the growing protests from communities, who were feeling increasingly disempowered, and calling for more to be done. Although developed independently, it was done so with advice from both the Metropolitan Police’s knife crime unit Operation Sceptre and The Mayors Office. A spokesman for Atomic explains…“Most anti-knife crime work is aimed at those who might carry a knife, and there are lots of initiatives already in this area. We thought it would be beneficial to involve and empower the other 99.99% of people who are fed up with knife crime ruining communities and young lives”. Hunch is free and available on both iOS and Android. You can find out more about the Hunch app here.